Must present coupon at time of estimate. Coupon valid at Flores and Son Painting in Olney, MD. One coupon per customer. With Valpak�� coupon only. Coupon void if altered. Expires 05/07/2019. 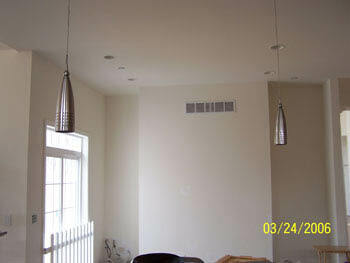 As one of the leading painters in MD-DC-VA, Flores & Sons is committed to customer satisfaction! We have over 10 year's experience providing exceptional residential or commercial painting with the highest quality workmanship by a professional and friendly staff. 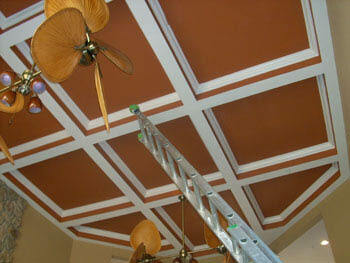 We offer custom molding, drywall, sealing & staining services as well. We have fine-tuned our business to meet and exceed your needs in a cost-effective manner and with the best times. Our goal: "Make your painting experience a pleasant one." Our employees are hired not just because they are excellent painters, but also because they are people that you will feel comfortable with in your home or office. Take a look in our testimonials from actual customers and see why we are chosen by home owners and commercial landlords in the Metropolitan Area of Washington, DC. Interior Decorating Services, Redesign & Design Services, Interior and Exterior Painting Projects, Molding Installation and Repairs, Paint Color Consultations, Drywall Patching, Finishing,And Installation, Carpet & Flooring Installation, Drywall Installations and Repairs (finishing and patching), Carpet, Ceramic, Tile, and Grout Cleaning Residential and Commercial Projects, Brush, Roll, and Spray Applications , Aluminum Siding Painting, Wallpaper Removal, Gutter Cleaning, Plaster Repairs. Licensed, bonded & insured, MHIC #80417, References available, Free estimates. "Your crew just left my home and they were wonderful. My porch feels clean and fresh. The paint job is superb, as I know how hard it is to paint against a cedar siding edge. And one of the guys even washed my picture window for me, since the power wash had left it a bit splotchy. ", -Miriam Jacobs. We do Missionary work with God's love for those less fortunate in the USA, Central & South America & Caribbean. We collect used/new clothes, shoes, school supplies, and/or toiletries. Let us know if you would like to help in any way. Thank you and God bless you greatly.